*Application and basics of Hex inverter with CD4069 IC. 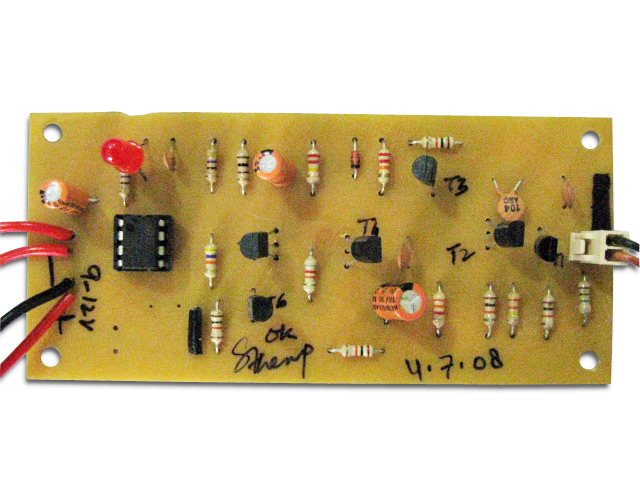 This versatile hit switch is the electronic equivalent of a conventional switch. 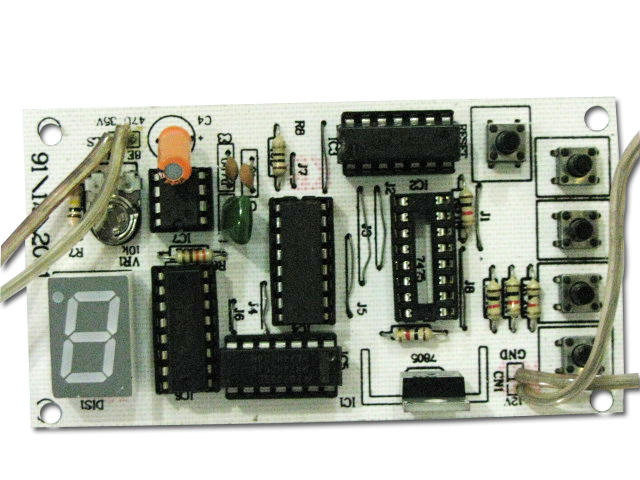 It can be used to control the switching of a variety of electronic devices. The circuit of the hit switch uses a piezoelectric diaphragm (piezobuzzer) as the hit sensor. A piezoelectric material develops electric polarisation when strained by an applied stress. The hit sensor makes use of this property. 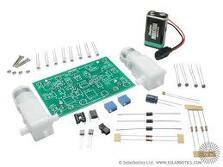 When you hit or knock the piezo element (hit plate) with your fingertip, a small voltage developed by the piezo element is amplified by transistor BC547 (T1). The combination of transistor T1 and the bridge rectifier comprising diodes D1 through D4 acts as a voltage-control switch. The inverter gates of IC CD4069 (IC1) together with associated components form a bistable switch. 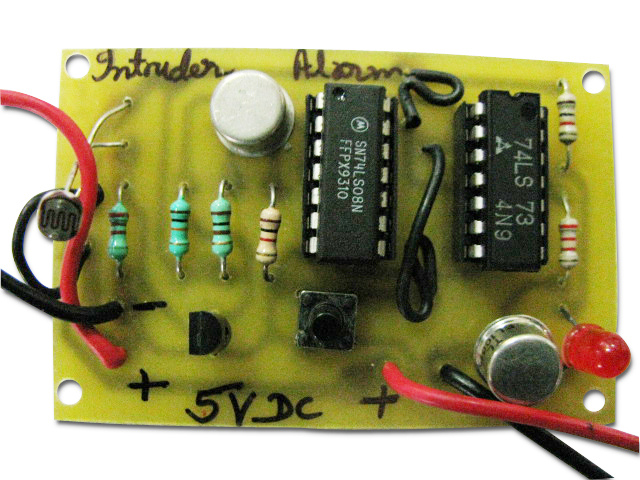 IC CD4069 is a CMOS hex inverter. Out of the six available inverter gates, only three are used here. IC1 operates at any voltage between 3V and 15V and offers a high immunity against noise. The recommended operating temperature range for this IC is �55�C to 125�C. This device is intended for all general-purpose inverter applications. Initially, the input of gate N1 is low, while the input of gate N2 is high. Triggering the voltage-control switch by hitting the sensor pulls the input of gate N1 to high level and causes the bistable to toggle. 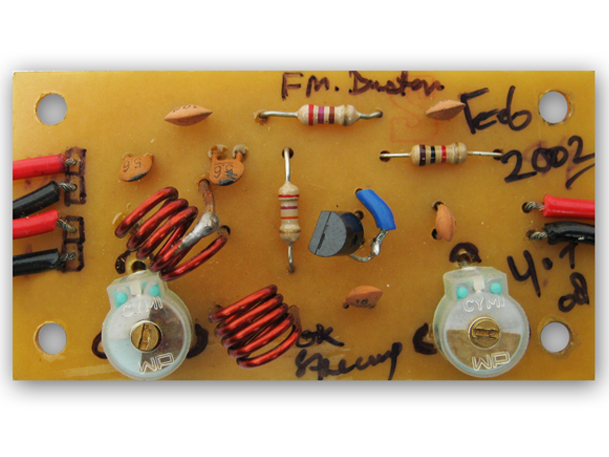 The capacitor gets charged via resistor R1 and the circuit changes its state. This latch continues until the bistable switch gets the next triggering input. Every time the hit plate receives a hit, the voltage-control switch triggers the bistable circuit. That means every subsequent hit at the sensor will toggle the state of the switch. The red LED (LED1) connected at the output of gate N3 indicates �on�/�off� position of the switch. Relay RL1 is activated by the hit switch to control the connected load. 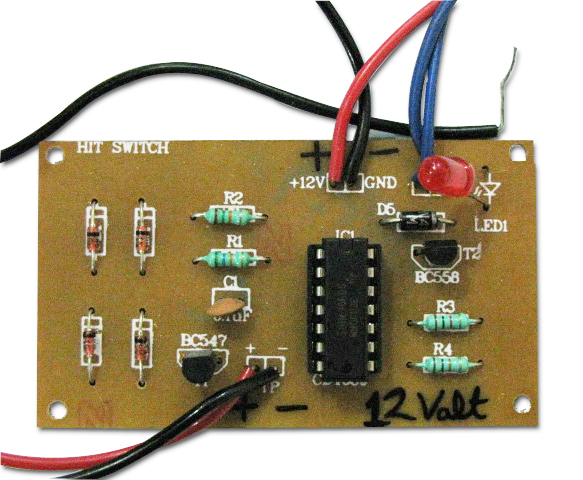 The circuit works off 12V DC. 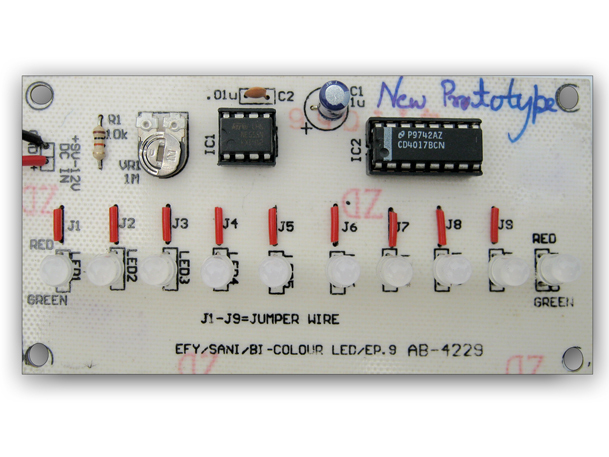 It can be constructed on any general-purpose PCB. For the desired results, proper connections and installation of the hit sensor are necessary. Remove the cover of the piezobuzzer and connect its two leads to the circuit. Mount the plate such that it receives the hit properly. The piezoelectric material on the plate can easily get damaged, so hit the switch gently. This versatile hit based switch is electronic equivalent of a switch. 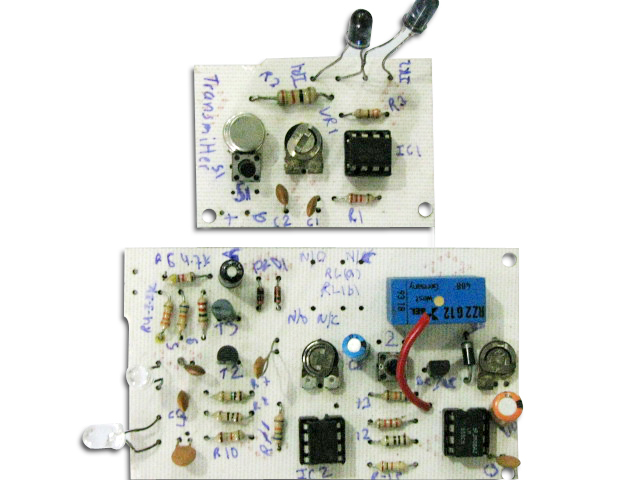 This circuit serves as an on/ off control for incorporation in a wide variety of electronic design.The circuit uses a Piezo electric diaphragm which when pressurised produces a small potential between its plate. 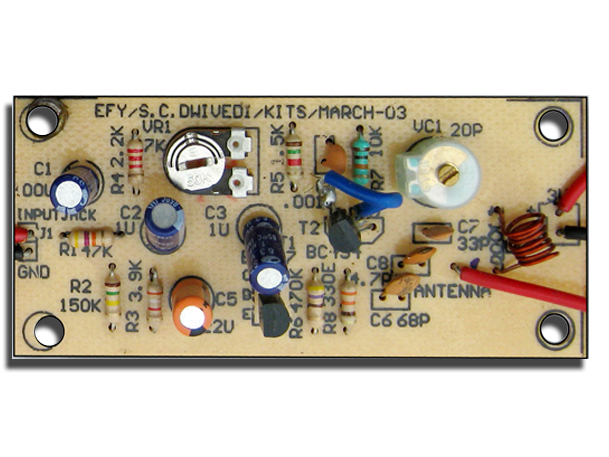 This small signal is amplified and used in combination with diodes to form a voltage controlled switch.